I had the extreme pleasure to collaborate with my amazing aunt, Vicki Meek and other talented young poets (RonAmber Deloney, Dave Herman, Brandon Jackson, kYmberly keeton, Alejandro Perez, Rafael Tamayo & Ashley Wilkerson) on an incredible art exhibition titled Blues Talk: It Ain't no Cliche Chit-Chat. 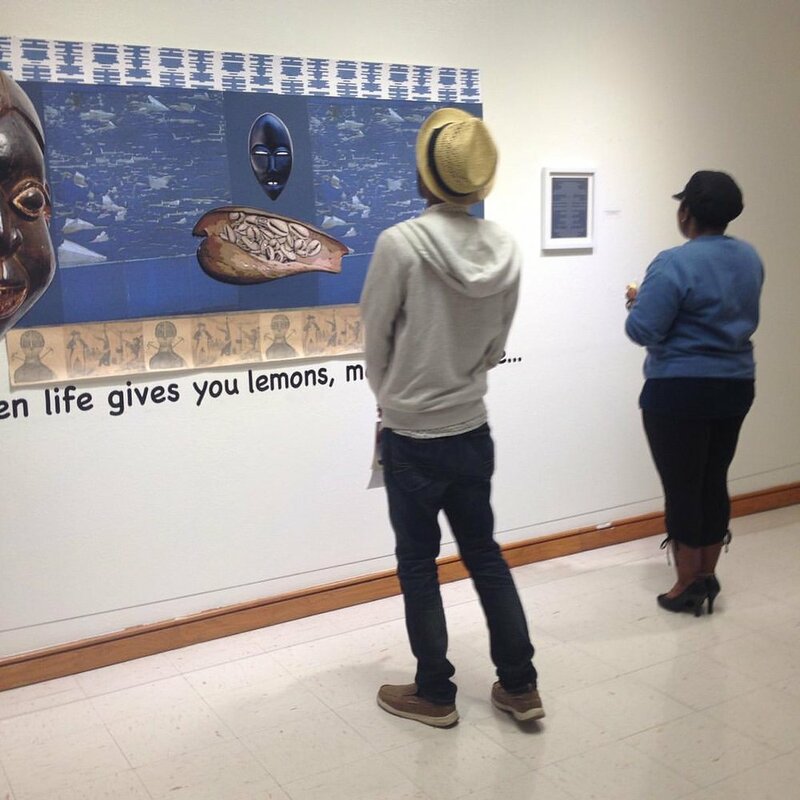 This art exhibition debuted in October 22, 2015 at the Art Corridor (Tarrant County College Southeast) located at Arlington, TX. Read more about it HERE. But he felt forced fed by my need. And he choked right at my feet. But he did not feel fancy free. And needed fresh air to breathe. And he inhaled so sweetly. And addiction was no good for me.